Mikomoto is not only famous for hammerhead sharks but for its entire marine species diversity and abundance. Alaska is full of natural beauty; mountains, bays and islands. On the way to any dive sites you are very likely to see Sea Otters, sea birds and occasionally Sea Lions, Orcas and Humpback whales. Although not necessarily at the top of the diving bucket list for many people, Alaska actually boasts magnificent dive sites albeit in very cold conditions. Thanks to nutrient-rich, pollution-free water, marine animals such as sea lions, humpback whales, octopi and rock fish all thrive in Alaskan waters. Beautiful scenery is also everywhere you look in Alaska – both above and below the water – with great animal life to enjoy. Isla del Caño is a biological reserve of only 300 hectares of land extension that belongs to the province of Puntarenas, on the Pacific Ocean, located in front of the Corcovado National Park, about 20 kilometers from the Osa Peninsula. If only Robinson Crusoe had a regulator and a tank… this destination will surprise you with lots to see below as well as above the water. Robinson Crusoe Island has all the ingredients for a real off-the-beaten-track dive trip. 36 islands are scattered like emeralds in a sea of aquamarine and deepest sapphire blue -The Lakshadweep Island Group, also called the Laccadives. 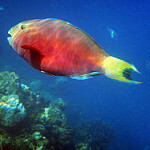 Taveuni is home to a number of top-class dive sites that host an impressive variety of marine life. The calm bays of Taveuni make for fantastic, carefree diving and there are also a number of walls and crevices to explore. There isn’t that much known about diving in Chile but the industry is slowly growing and the diving can be quite good if you don’t mind colder waters. 200 miles off the northeastern coast of Brazil lies a mountainous archipelago made up of 21 islands, the National Marine Sanctuary of Fernando de Noronha. Along the coast of the Mexican Caribbean, also called “the Mayan Riviera” lies a relaxed diving destination – Playa del Carmen. 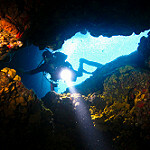 South Korea offers some good diving opportunities in particular at Busan and Jeju Island. Perhaps the reason Cozumel is such a popular diving destination is because of its incredible visibility and variations in marine life. Nurse sharks, turtles and rays all call this area home, as do colourful sea sponges. Divers can opt to stay in a dive resort matched to their budget and will enjoy great nightlife when they’re not doing night-dives. The Socorros, as the Isles are popularly known, are 220 miles due south of Mexico’s Baja Peninsula. These islands are the only US territory in the Caribbean, and offer the traveler a chance to experience life island style with an American touch. 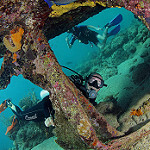 These Southern Caribbean dive sites have something for everyone! Known as one of the Caribbean’s top muck diving destinations, St. Vincent and the Grenadines also has brilliant cave dives, wreck dives, exhilarating wall dives and beautiful coral reefs. This chain of 32 pristine islands boasts crystal clear, temperate waters surrounded by plenty of dive sites for beginners right through to advanced divers. If you’re looking for some adventure in a fascinating underwater environment, look no further than Saba, which offers volcanic dive sites packed with colourful marine life. Prepare your underwater camera to capture sightings of sharks, stingrays and hawksbill turtles in Saba Marine Park which can be dived at any time of the year. The Dominican Republic is not only a dream holiday destination for sun-seekers, but it is also famous for exciting sightings of humpback whales. Best seen from the remote area known as Silver Bank, whale watchers flock to this Caribbean destination for some of the best whale watching experiences in the world. 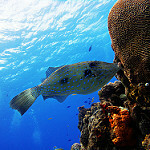 Curacao never fails to impress, with visibility in the range of 50 metres at most times during the year. There’s something for everyone at Curacao, with over 65 sites offering a variety of experiences – everything from wreck dives to magnificent reefs are just waiting to be explored. Cuba is an exciting diving destination with plenty of shark experiences to be had. Known as one of the most exhilarating places in the Caribbean, it is also home to many beautiful reefs and colourful marine species. The Bay Islands of Honduras prove that variety is the spice of diving life. Wall dives, wreck dives and reef dives are all here, catering to every diver’s preference with great marine life to be seen at every turn. 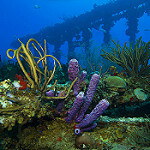 Beneath the warm, blue waters of North Carolina’s crystal coast lies a variety of exciting wrecks and artificial reefs. Beyond the main islands of Hawaii lie a string of widely separated tiny islands and reefs called Midway Atoll. If you are looking for an off-the-beaten track destination, this might be it. The Florida Keys is a collection of islands stretching an impressive 120 miles. As the only coral barrier reef in the continental US, sites in the five regions of Key West, the Lower Keys, Tavernier and Islamorada, Key Largo and Marathon are widely varied, yet all offer very good diving options. Wreck diving is also possible in the Florida Keys, allowing these picture-perfect islands to cater to every diver’s taste. Diving California’s Channel Islands is one of the most unique diving experiences in the world. 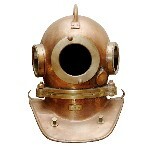 Especially if you have never dived the California waters before. 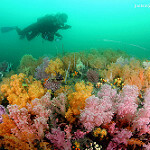 Vancouver Island in British Columbia offers some of the best cold water diving on earth. 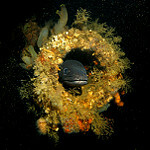 With a number of artificial reefs to explore that play host to all sorts of odd-looking invertebrates and interesting critters, Canada is a surprising must-dive destination. The country also offers unmatched beauty above the water, with stunning scenes and friendly locals. 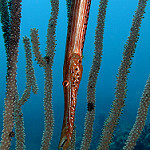 Hong Kong offers good macro photography in the shallows. China mostly offers good diving at Hainan Island and Sanya. 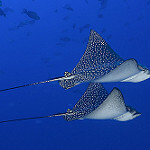 In addition of its divers and well protected diving sites, Tahiti set up numerous conservation activities to preserve its unique marine heritage. That is why you definitely should take a little time to discover the discreet marine treasures of Tahiti, before your next flight which will take you to the island nearby. 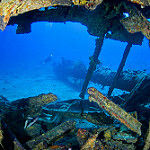 Scapa Flow is in the Orkney Islands, and covers some of the United Kingdom’s best wreck diving sites. Diving in the Netherlands is done in rivers, lakes, the many oceans surrounding this tiny country and even in the canals. Tonga is known for presenting the opportunity to spot whales in their natural habitat, a “must-have” experience for every diving enthusiast. 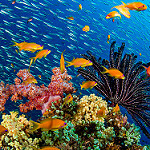 The reefs at Tonga comprise coral atolls in great condition and a rich variety of underwater life. Drift diving is what it’s all about at Rangiroa, where divers experience an exciting ride through the pass into the open ocean beyond. The pelagics seen on these drift dives are simply not-to-be-missed! Malpelo Island is known as the ‘Everest of Sharks’, and for good reason! Large schools of hammerheads and silky sharks are often seen here, making for great photo opportunities. Shark diving enthusiasts take note! Cocos Island boasts over 4 different species of shark including silky sharks, silver-tips, hammerhead sharks and white-tip reef sharks and is easily one of the best dive sites on the planet. 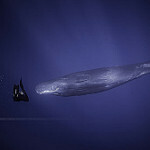 Most divers would not think of going all the way to Western Australia to dive. 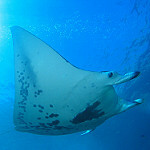 But there are in for a big surprise: diving with the majestic whale sharks of Ningaloo Reef is one legendary experience. The Mergi Archipelago of Burma (also called Myanmar) comprises over 800 islands and cover an area of 10,000 square miles. South East Asia is one of the most species rich areas in the world. 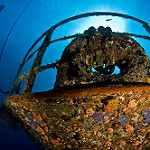 A Word class destination, Bikini Atoll opened to divers in June of 1996 to provide an economic base for a possible future resettlement of Bikini Atoll. The southern Egypt, from Marsa Toronbi to Zabargad and Rocky Island, provides a remote dive paradise with variations that are well known all over the world. 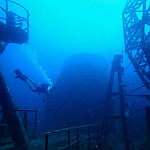 There are three main centers of diving in India. Andaman and Nicobar group of Islands in the Bay of Bengal, Lakshadweep group of islands in the Arabian Sea and Goa on the mainland. Diving in Zimbabwe is great. Malawi is a long and narrow country, covering more than 1000 km from north to south. Madagascar is the world’s fourth largest island and lies just off the coast of Mozambique in southern Africa. Known for endemic species such as the lemur, the underwater life in Madagascar is nothing short of phenomenal, especially around the island of Nosy Bee. Whale sharks, dolphins, turtles and sharks can all be spotted in the warm Indian Ocean around Madagascar.